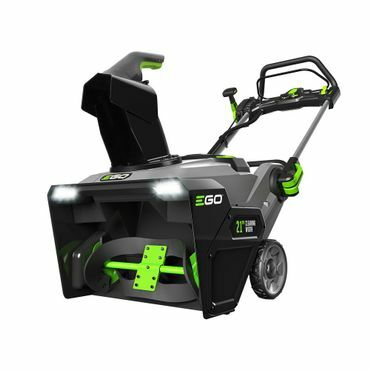 Electric snow throwers, such as the Ego SNT2102, are great for smaller properties. 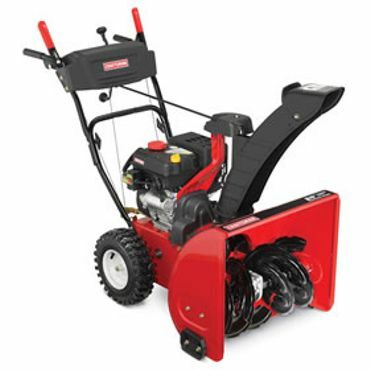 For bigger spreads, we found some terrific gas snow blowers from Toro, Craftsman and Ariens. And if you want to use people power to clear winters' snows, we found a True Temper shovel that's tough to beat. 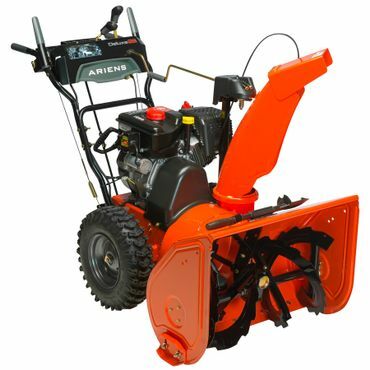 While compact two-stage snow blowers are fine for most homeowners, if you have lots of snow to clear, and lots of property to clear it from, the beefy Ariens Deluxe 28 921046 snow blower should be at the top of your list. Its 28-inch wide intake makes fast work of even the largest driveways. It excels in most snow moving tasks, though it doesn't scrape down as close to the surface as some snow blowers. Handling is first rate thanks to an assisted steering system that lets users effortlessly change directions on a dime. It's overkill for smaller properties, however. Specs that Matter Blade length -- 14.5" Blade width -- 19" Weight -- 3 lbs. If a snow blower is overkill for your snowfall, property or budget, or if you need a snow shovel to finish off spots where your snow blower won't go, the 18-inch True Temper Ergonomic Mountain Mover is a terrific choice. 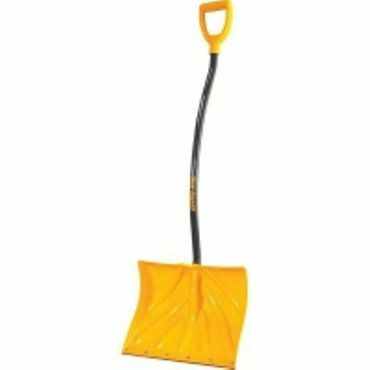 It hits most of the design points that experts say make for a good all-purpose snow shovel, including an ergonomic shaft with just the right amount of bend -- not the ridiculous bend that actually increases back strain with some competing shovels. Durability is good too, with one expert saying that he's used his for eight straight New England winters. A snow blower takes the place of a snow shovel, quickly clearing your porch, sidewalk and driveway in less time and with less effort. Using an auger mounted in front of the machine, a snow blower scoops up snow as you walk and fires it through a chute to collect in your yard (or wherever you aim). Snowy conditions create enough problems for traction and maneuvering, so you won't want to add to them with a cumbersome snow blower. Experts say buying a machine that's easy to handle, has glove-friendly controls and starts on demand is key to owner satisfaction. It's also important to select the type best suited to your region's winter. If you wind up with a snow blower -- also called snow thrower -- that's not powerful enough to tackle your typical snowstorm, it will bog down -- or even fail -- under the strain. Keep the size and extent of your walkways and driveways in mind as well. A lightweight machine with a narrow intake is fine for a city property, but can mean extra passes for suburban and rural dwellers. Cordless electric snow throwers cut the tether of a corded electric snow blower and do away with the muss and fuss of dealing with a gas-powered tool. The latest lithium-ion battery-powered snow throwers have enough run time to handle many suburban properties, but can be pricey -- $600 or more, including batteries. Less expensive, and less powerful, cordless snow blowers are available, too, but these are most suitable for smaller properties and areas where snow falls don't often exceed 8 inches or so. They are still pretty expensive -- figure $250 and up with batteries -- but their convenience makes them a hit with many owners. 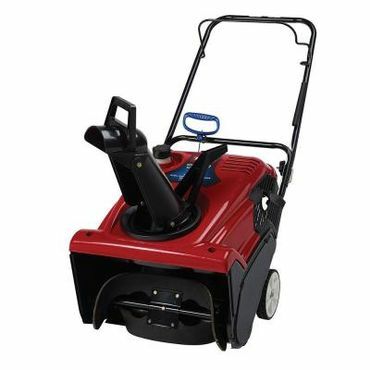 Most corded electric snow blowers weigh less than 40 pounds and are compact for uncomplicated maneuvering and storage. Like cordless models, their electric motors are fume-free, quieter than gas engines and don't require regular servicing. The most powerful corded electric snow blowers can move about 8 inches of powder; half that if the snow is packed or wet. These are the least expensive type of thrower -- expect to pay $100 to $300 -- but don't forget to add in the cost of a separate heavy-duty extension cord that's long enough to reach your entire walkway or driveway from an electrical outlet. In a single-stage snow blower, the auger scoops up the snow with enough force to blow it out the chute. With no extension cord tethering them, or batteries to limit their run time, single-stage gas snow blowers can cover more ground than electric models. They are also more powerful, throwing snow farther, clearing heavy snowfall faster, and breaking up packed berms left by the snowplow. Gas engines require more time and money to maintain, but many users say it's worth it for the added power. Most single-stage gas snow blowers weigh between 60 and 90 pounds and cost about $300 to $800. They are generally suitable for cleaning up snowfalls of up to 10 inches. These are bigger, heavier and able to move more snow than single-stage throwers. Two-stage snow blowers add an extra component; after the auger shovels the snow into the chute, a corkscrew-like impeller shoots the snow as far as 40 feet away. Because the augers on two-stage machines don't brush against the ground, this is the best option for clearing snow off gravel or off of a wooden deck without fear of damaging it. Compact versions have a smaller body for easier storage, but are still beefy enough to clear snow up to 20 inches high. Expect to pay at least $600 for a well-built compact two-stage gas snow blower and more than $1,000 for a full-sized one. Don't forget the original "manual' snow thrower, the snow shovel. Yes, shoveling snow can be back-breaking work, and is definitely not advised for those in less-than-good physical shape, but if you live where snow is light, and/or on a property with not much sidewalk to shovel, they are a cost effective alternative. 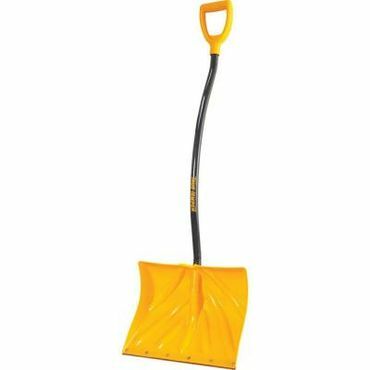 Even better, the top choices among modern snow shovels offer improved ergonomics to make the task of clearing snow by hand a lot easier than ever before. A well-designed, well-made snow shovel will run roughly $30 to $50. What about three-stage snow throwers? Three-stage snow blowers are also available; these use a design that can increase snow-clearing speed compared to a manufacturer's two-stage models, but cost more ($1,000 and up) and are can be a pain to stow, Popular Mechanics notes. As these are best suited to commercial use or for the largest residential properties, we do not cover any three-stage snow blowers in this report. 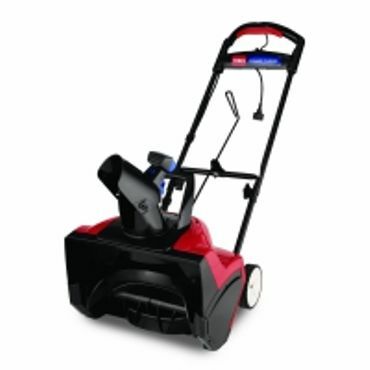 We evaluate both expert tests and owner feedback to select the top snow blowers and shovels. Consumer Reports conducts side-by-side comparisons of snow blowers, and its coverage is both comprehensive and detailed, with hands-on testing that looks at performance, handling and more. Moving Snow is also helpful. Though site owner Paul Sikkema doesn't cover nearly as many models as Consumer Reports, and personally tests fewer still, his expertise provides valuable insights on which snow blowers to buy and which to skip. Wirecutter's coverage is more limited, but there's hands on testing of a handful of models; they also have a report on snow shovels for those who want to clear snow the old fashioned way. User feedback at retail sites such as Home Depot, Lowes, Sears and Amazon help fill in the picture. These provide valuable insight on issues -- such as long-term durability -- that experts can't address in the limited time most have to test products. The results of all of this research and analysis is our recommendations for the snow blowers and snow shovels that are top performers and/or excellent values.